“Sounds great,” I said, but inwardly I groaned. Nell Hill’s is a home décor shop in Atchison, Kansas. It’s Mecca for artists like Dorette, but I lack the decorating gene. Dorette’s home is filled with interesting objects in eye-catching displays. Mine is filled with books on shelves. However, I love to spend time with friends. Dorette and I and our friend Wendy started for Atchison on a beautiful fall Saturday. We chatted our way up the road, filling each other in on the week’s news. They sympathized over the death of our family dog. 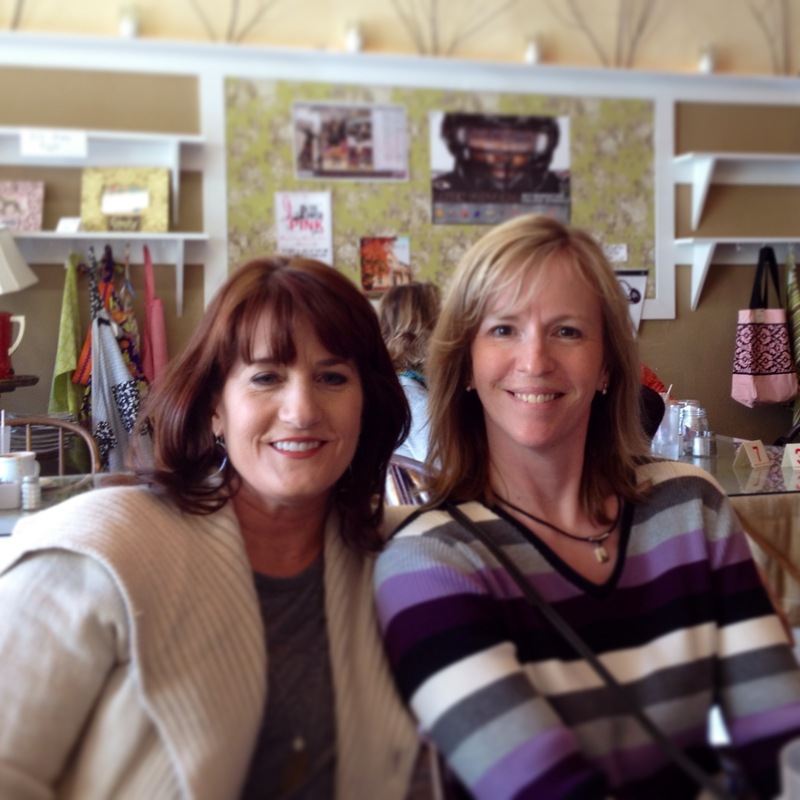 We rejoiced that Dorette’s college kids are turning out so well. Friend stuff. We reached downtown Atchison by mid-morning. Parking was already scarce. A November wind blew us through the shop door, straight into Christmas. Every room overflowed with seasonal cheer. Pine trees draped with coordinating ornaments stood on blankets of fake snow. Collectibles and curiosities filled antique display cases. Wreaths and garlands draped the walls. We moved from display to display, inching around other women on the same pilgrimage. I spotted one husband near a window, checking the football scores on his phone, but the rest of the clientele definitely possessed two X chromosomes. Upstairs in the kitchen shop, I saw things I really needed. Cupcake stands. Lemon slice squeezers. Frilly aprons in dazzling colors. Somehow I managed to leave it all on the shelf. My favorite thing about Nell Hill’s was its prices. 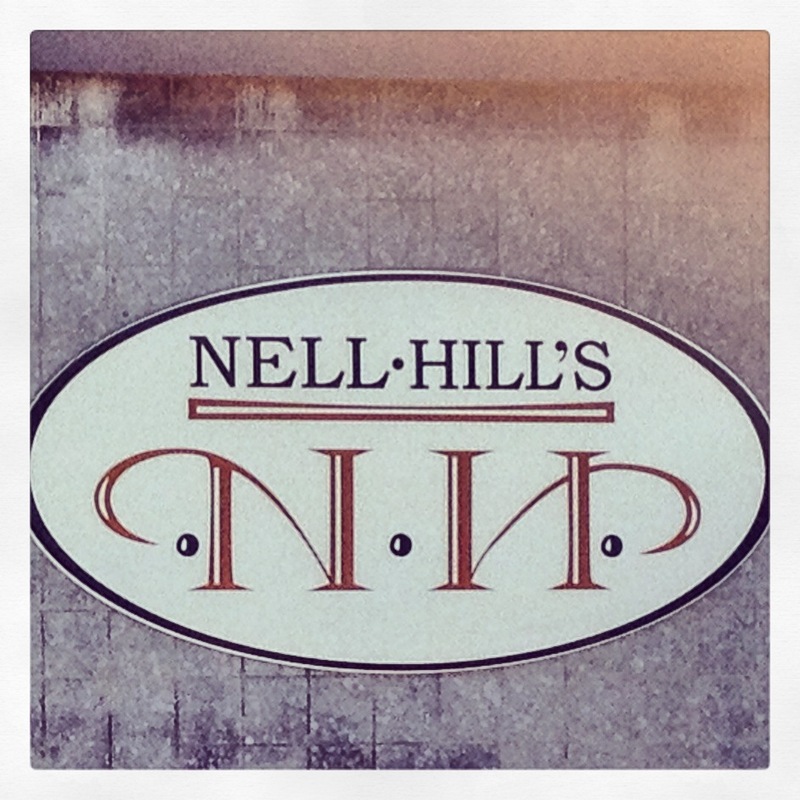 Nell Hill’s is downright affordable. Mary Carol Garrity, the shop’s founder, seems to understand that women with average incomes love pretty things, too. When I splurged on a couple of ornaments, the guilties didn’t follow me home. We lunched at Marigold’s Bakery, and decided to head for home. On our way out of town, we stopped for an estate sale. Talk about affordable! I found the perfect gift for a friend for just seventy-five cents. Well, I think it’s perfect. She may wish I’d bought it at Nell Hill’s. 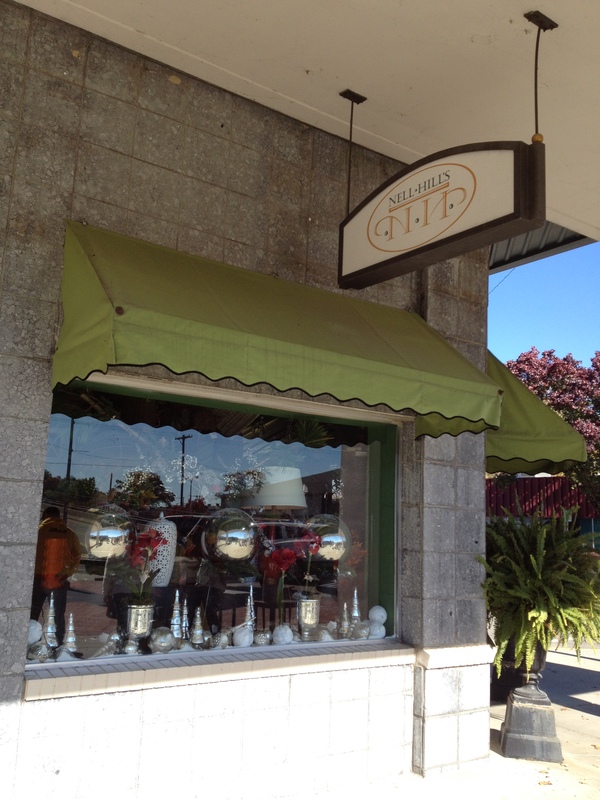 “Elegant wreaths and garlands calling out, ‘you can decorate’.” That sentence alone made me love the place. Wish I lived closer. It was inspiring, Kathy. And who doesn’t need a little inspiration when it comes to December? It sure was, Dorette. I’m so glad I got to share it with you. This sounds like fun! Thanks for sharing it! I love that store!! Shelly wood took me there knowing I’d love it! I did! Isn’t the upstairs cute!!??? The upstairs is my favorite part, Brenda. I love to cook, and they stock every kitchen gadget imaginable. Plus, the tablecloths and dishtowels are beautiful!